Information – what is it? why is it so important? why do those who don’t have access to it have a dark cloud hanging over them? who gives Access to Information? What controls how much information reaches the public? And just why is it a big deal for people around the world to have unlimited access to information? The answers to all these questions if summed up in a word cloud could help us see just how much more can be achieved globally if information on queries relating to sustainable development was readily available to the masses around the world. So as simply put by google, Access to Information is the notion that the public can obtain information in the possession of the state, and in some countries private entity information, for the purpose of being informed about the activities of the state. But unfortunately key information is not readily accessible to the public especially in developing countries, some of them on the African continent. 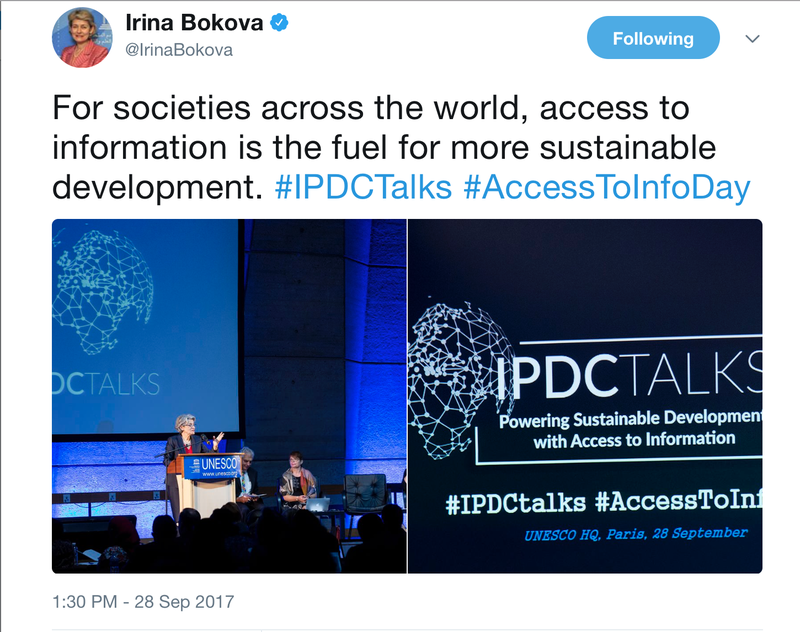 Where it is accessible, there is little awareness on the right to access to information. 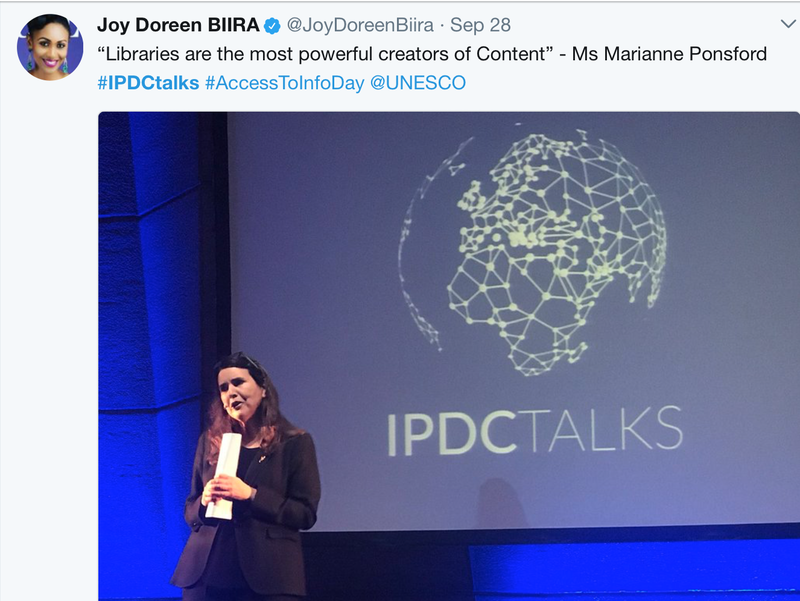 Alongside global speakers from around the world who have held and hold key positions in various countries and organizations that drive in one way or another, access to information, I was invited to moderate and speak at the 2017 #IPDCTalks event (an honor for me) . 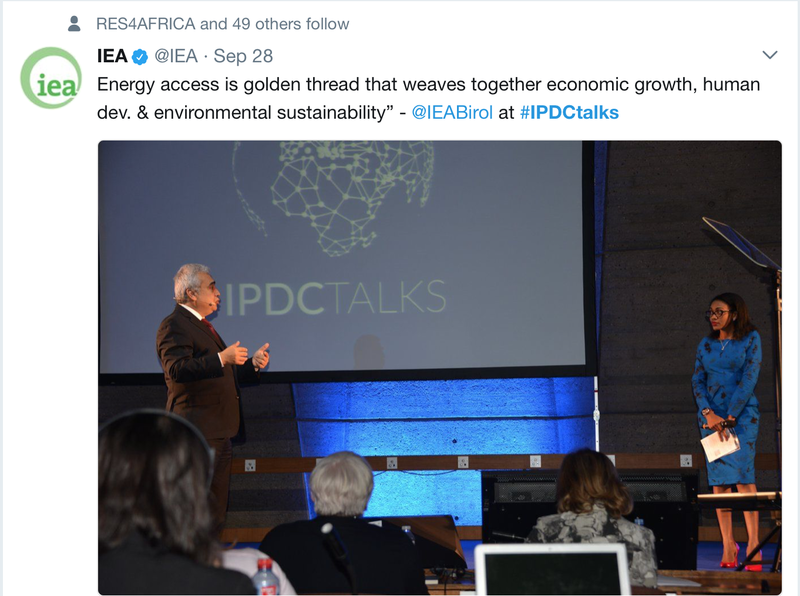 See more here http://en.unesco.org/powering-sustainable-development-access-information/speakers. 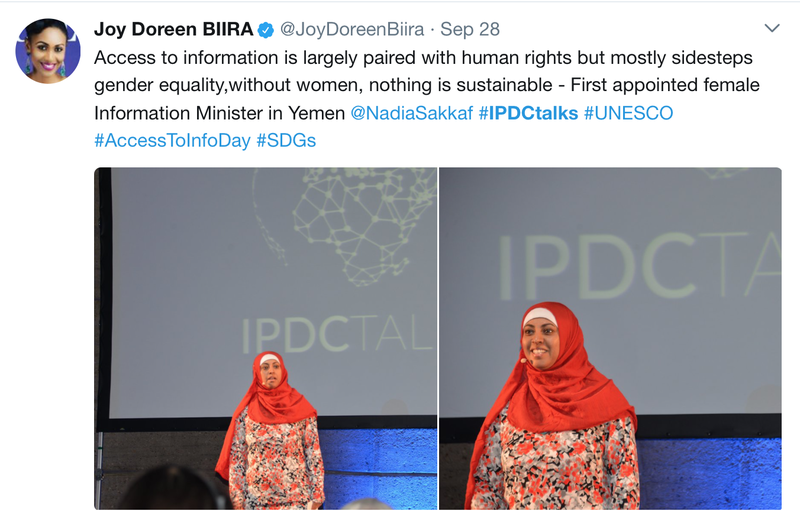 The question that stood out for me really is the quality of information being accessed by the masses around the world, who’s duty it is to disburse this information and how helpful it is in creating awareness for citizenry around the globe to in-turn make informed decisions for a global sustainability in support of the achievement of the Sustainable Development Goals (SDGs). If it is citizens right to access to information, freedom of expression and speech then why is it challenging for many states when citizens of their nations come up demand access to these rights and freedoms? The more information is withheld from the public by the state, the harder it is and will be to achieve sustainable development. 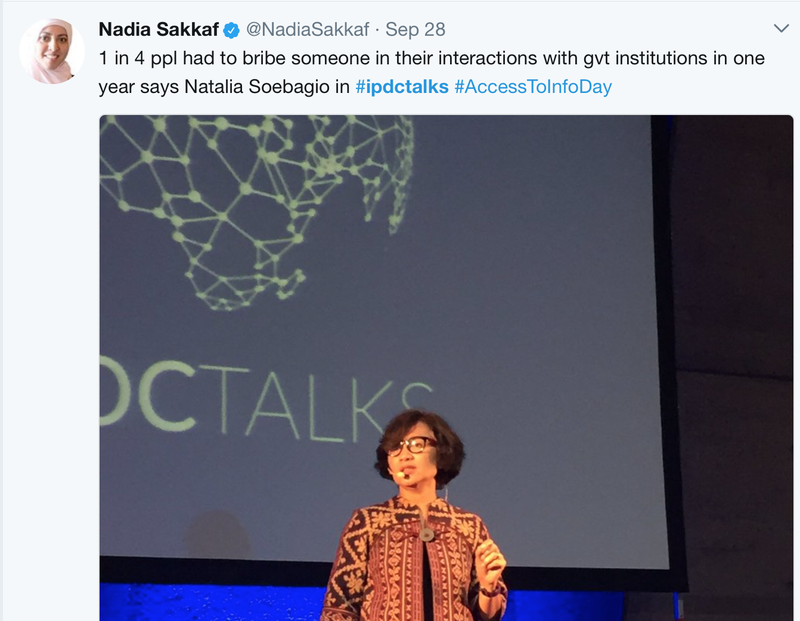 In my line of work as a Journalist, it is always extra effort getting access to state information about the progress of projects set out by governments partly because there is underlying poor accountability and at times funds meant for public transformation are swindled by some individualistic leaders and policy makers. As a result, this information is hoarded leaving citizens in the dark. This covers nearly all aspects including political, social, economic and environmental sustainability of citizens. However the good news is that with investigation and whistleblowers willing to volunteer information to the media – cases of graft, embezzlement and misappropriation are being exposed. The media regarded as the fourth estate in many nations has made an effort in reporting truthfully on how lack of awareness hinders development but the challenges of being denied critical public information by some entities makes it difficult to execute the mandate we very much owe to the public. This begs the questions of how much information is too much information in the governments’ eye, the public eye etc? Without access to information, achieving the sustainable development goals by the year 2030 will be a challenge. The faster developing nations give this access to citizenry, the more responsible public masses and business entities will be in playing their role to ensure this is achieved. An information citizenry is a more responsible one. Previous Previous post: Extractives in Africa: Where are the young people?